Nicky Romero kicks off 2019 on a heartfelt note with “Distance,” his first single of the year featuring actress/singer Olivia Holt. 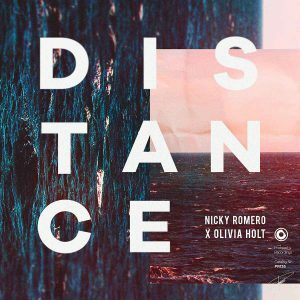 Romero and Holt deliver a winning combination of organic, instrumental melodies, soft basslines and soulful vocals that make “Distance” a dance-pop crossover with major radio appeal. Known for her lead roles in Disney and Marvel movies, Olivia’s powerful voice laments on the pains of emotional separation with lines like “there’s a fine line between lovers and strangers” that will hit close to home for many listeners. “Distance” is the latest in a slew of genre-breaking tracks from Romero!